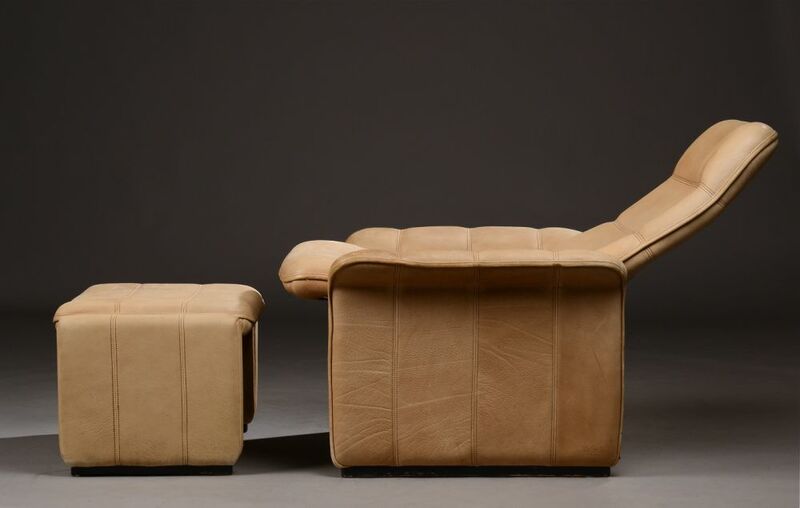 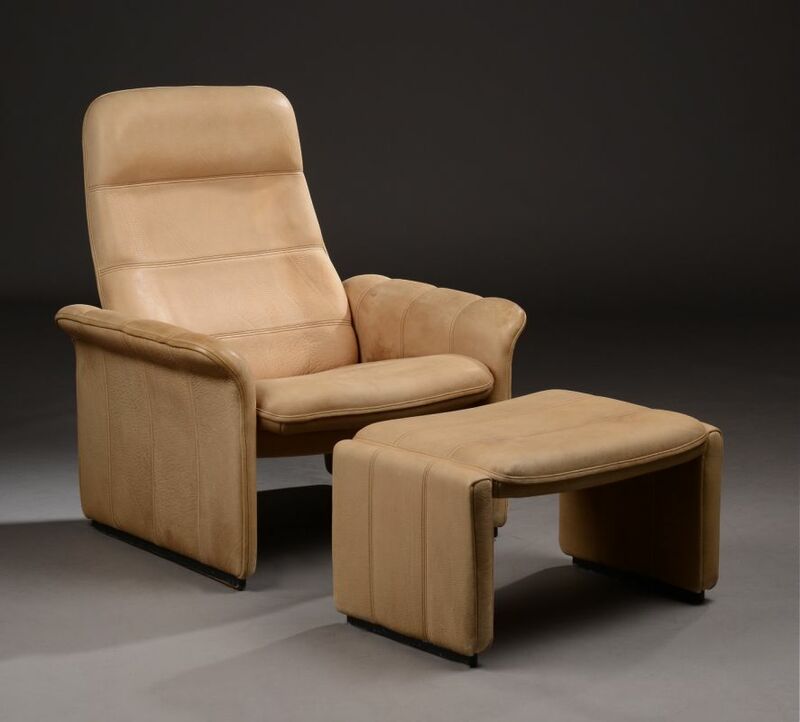 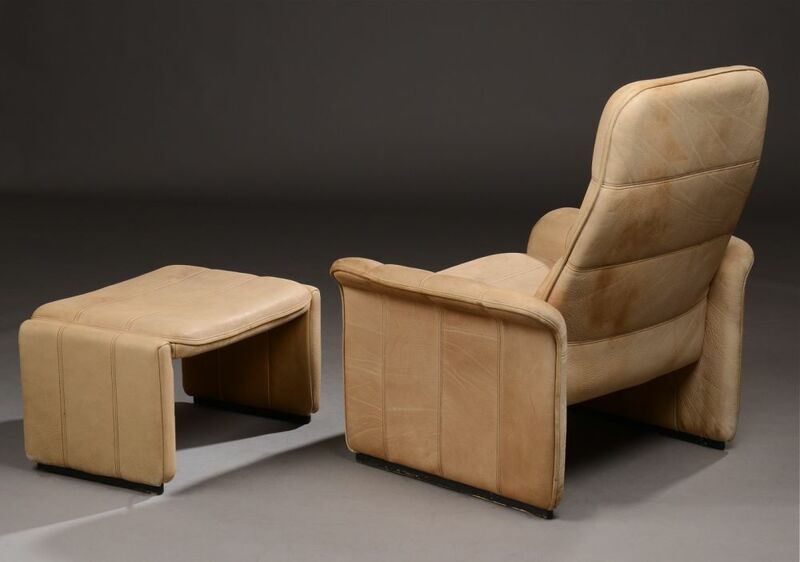 Reclining armchair and stool in thick buffalohide from de Sede of Switzerland, always superb quality. 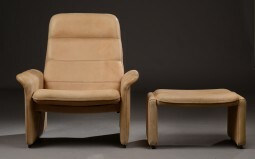 c1970. 86 cm wide and 95 cm high.